The Best Substrate for Chameleons On The Market! Thinking of caring for a chameleon? They’re not all that easy to manage. The reason why first time owners might find it difficult to care for a chameleon is because of their unique habitat needs. There are certain specifics that you need to follow in order to make sure your chameleon is happy and healthy in its home. Failing to meet these standards could cause serious health issues that may threaten the life of your slow-moving pet. Of course, there are a lot of components that constitute a good chameleon habitat. But one of the most important is the substrate. 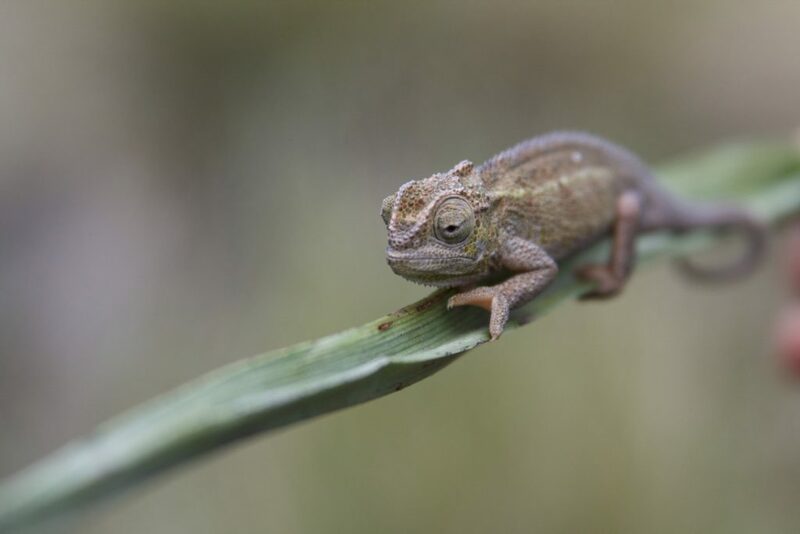 Although chameleons are arboreal by nature – meaning they’ll rarely ever be on the ground – a suitable substrate contributes to other aspects of the environment like humidity and moisture. Find the best substrate for chameleons and discover more about these premium choices with our guide. Click Here To Check For Prices On High-Quality, Budget Friendly Substrate For Your Pet Chameleons! One of the top choices when it comes to substrates for chameleon care is the Reptile Prime Coconut Fiber substrate (Click here to check for product prices and availability). Made from 100% organic coconut fiber, this natural substance is harvested from sustainable coconut. The company behind the substrate takes pride in their ethical manufacturing procedures which put the environment front and center. So if you’re an environmentally responsible buyer, then this can definitely meet your consumer standards. If you’ve got several different exotic pets like a bearded dragon, a gecko, turtle, or similar, then it may be possible to use the same substrate in their enclosure. The material makes a great foundation for a basking spot, which is why it’s popular among most reptile owners. 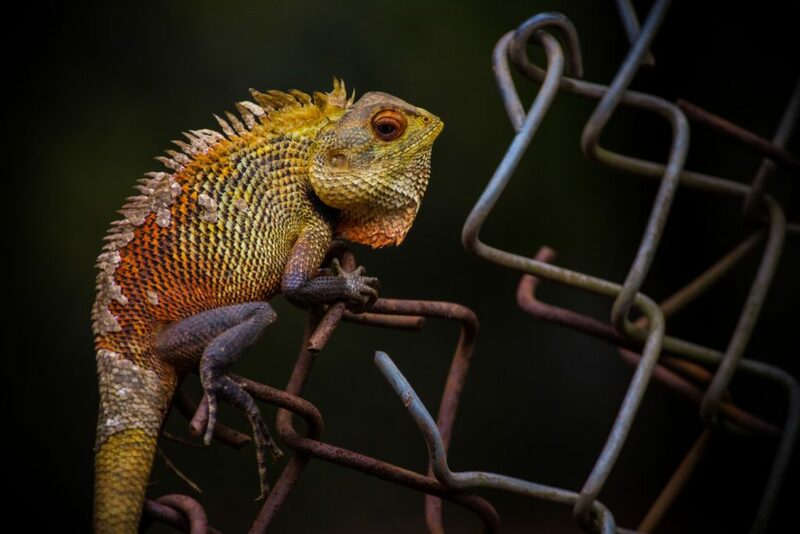 This makes it easier and cheaper to maintain different kinds of reptiles and amphibians without having to purchase too many different kinds of bedding. In terms of maintenance, the Reptile Prime Coconut Fiber Substrate promises to ease the process of cleaning. The bedding can last up to 2 months depending on the size of your enclosure and the number of animals it contains. Spot treatment can also be performed to target specific areas in your terrarium. Soiled patches can be easily scooped out and replaced to minimize odors and keep your substrate viable for longer. While it’s best to replace after the maximum 2 month period, the Reptile Prime Coconut Fiber Substrate is exceptionally effective at keeping odors at bay. 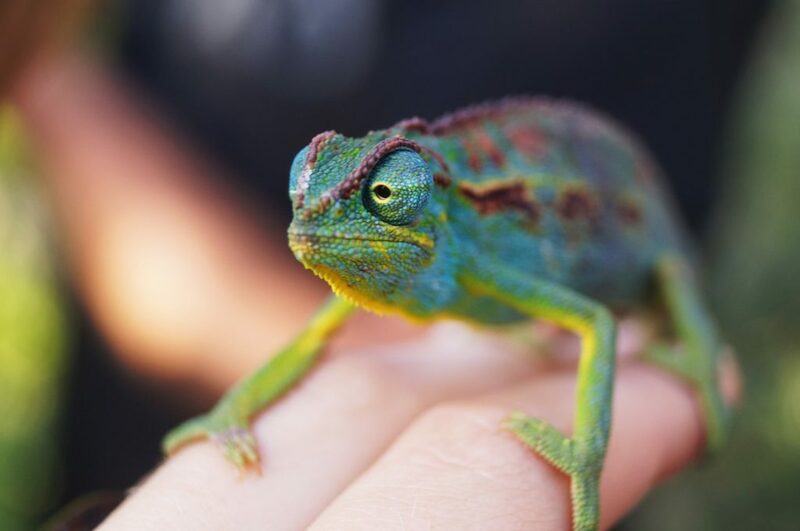 If you’re only caring for one or two chameleons in a single enclosure, you may be able to extend the replacement schedule to up to 3 months, given that you’re performing the necessary maintenance practices. Finally, on the topic of humidity, this substrate is especially efficient at retaining moisture. Trapping fluid, the bedding can be misted with water once a week to help the product maintain the ideal humidity level. This should help keep your chameleon happy and healthy as it grows in an environment that closely resembles the home it would have in the wild. The price tag on the Reptile Prime Coconut Fiber Substrate is also quite impressive. At less than $1 for every dry quart of product, you can be sure to get more than enough substrate to see you through several months of chameleon care. Be sure to read through any chameleon care sheet available to you to make sure you set up your terrarium in the best way possible. The video below offers an additional third-party, independent review for the Reptile Prime Coconut Fiber to offer our readers an independent opinion of the product. If you were hoping to establish a more stable humidity level in your terrarium, then the Zill Bearded Terrarium Moss (Click here to check for product prices and availability) might be a better choice. Moss material tends to hold far more moisture than fiber or mulch substrate, which is why it might be better for certain kinds of chameleons. This all natural material is sourced straight from well maintained moss gardens, and is 100% free from chemicals, toxins, and added synthetics. This organic moss helps create a lush green landscape for your chameleon, perfect if you want that deep, lush, forest aesthetic in your terrarium. But there’s far more to this substrate than just its appearance. For starters, it’s one of the easiest bedding materials to maintain. The substrate is ideal for spot treatment, letting you replace patches of moss instead of changing everything all together. This doesn’t only help you cut back on costs but also makes it far less taxing to care for your terrarium. Another thing that chameleon owners love about the Zill Beaked Terrarium Moss is that it’s perfect for maintaining the ideal humidity. Often used for frogs and other amphibians, this moss traps moisture and helps achieve the ideal levels of humidity in your containment. In effect, the material can keep your chameleon in optimal health as it provides the right moisture to keep its skin and respiratory system in good condition. Easy to maintain, natural, and aesthetically pleasing, there’s only one question left to ask. Is the Zill Beaked Terrarium Moss worth the money? At just a little over $1 per quart, it might be slightly more expensive than other choices. But because it can take several months before you might need to perform a complete replacement, it’s easy to see that you may be able to enjoy big savings when you purchase this specific moss. That’s especially true if you religiously clean out the soiled spots in your chameleons containment to prevent the moss from becoming too dirty too quickly. Chameleons can be pretty to care for. Their unique habitat needs can make it a challenge to fine tune your care and provide your little pet the best possible environment. If you’re still not sure where to begin, try starting out with a suitable substrate. The best substrate for chameleon pets are those that are 100% natural and provide enough moisture to keep your chameleon healthy. So be sure to check these top picks to find out just how they might be able to work out for you as the first step towards establishing the best containment for your new little exotic pet. The Best Substrate for Boa Constrictors On The Market! The Best Substrate for Red Tail Boa Constrictors On The Market!